Here comes Kawai Raptor, it's unique, original, cute, fun and girly. heheheehehhe. 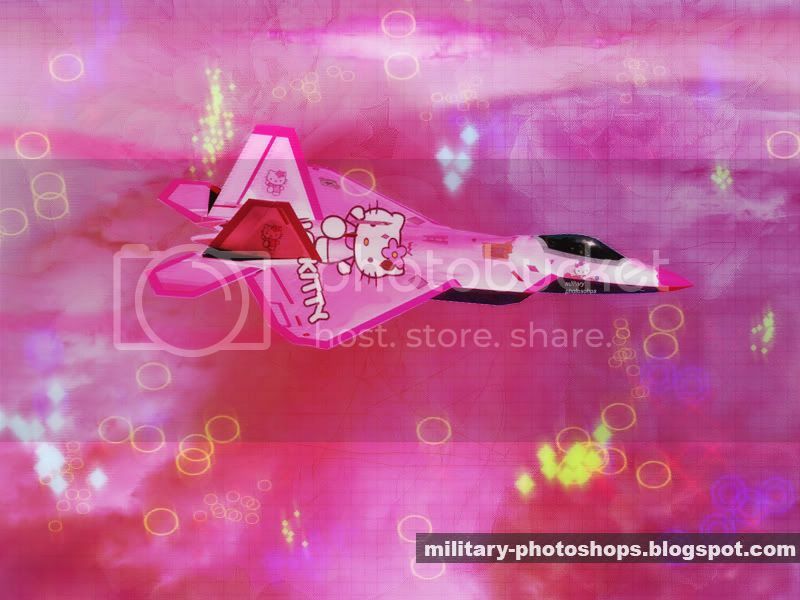 Hello Kitty and Pinky color scheme for F-22 Raptor.